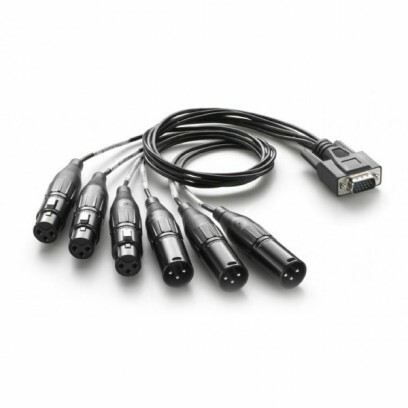 The Blackmagic Breakout Audio Cable is used with the ATEM 1M/E & 2M/E Production Switchers. This cable connects to the audio in/out port of the switcher. You can use this breakout cable to connect your external audio source's balanced, analog audio output to the production switcher via XLR inputs and outputs.